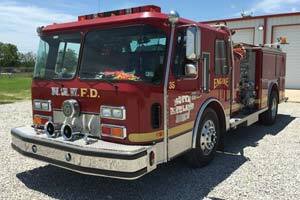 This fire truck is specially equipped to fight fires at night with (6) high tower lights on the roof. 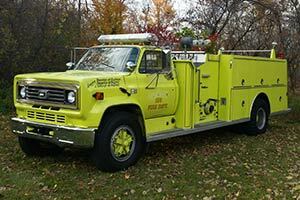 This fire truck was previously owned by the city of arlington texas. It has no rust, no corrosions , no dents. Body is like new, paint is in good condition. The water pump is in great condition. Water pump certification test passed recently. Hydraulic ladder rack system equipped. High tower command light systems (6) equipped. 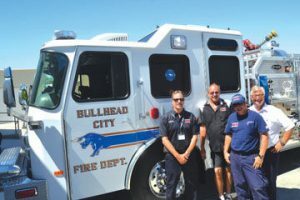 The high tower command lights on this fire truck is specially designed to rotate 360 degress on top of the roof of this fire truck. This high tower lights came be seen from over 1 mile away. (it has 1 mile radius). Equipped with Honda generator ems 5000s to power this tower light systems. Back up camera system equipped. Camera system inside this fire truck monitors all lanes of traffic while this fire truck is moving forward on the roads and highways. New 2017 heavy duty 8750 watts industrial generator is included to provide power to the command light, tools and devices. 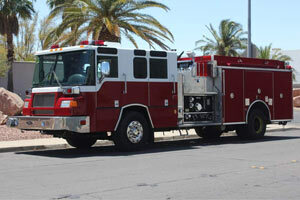 This new heavy duty generator can also provide electric power to fire stations during bad weather conditions. Extrication devices/jaw of life devices included for free. An additional generator is included to power extrication devices.